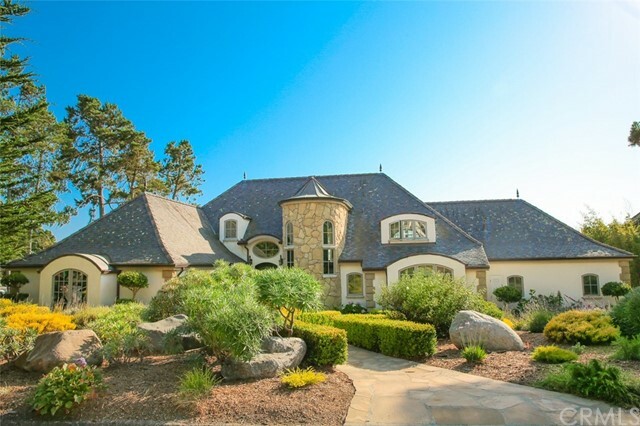 Take a look at this tranquil beauty in the desired "top of the world" location, this is one of cambria's banana belt microclimates which gets the most sunshine. This 2 bedroom, 2. 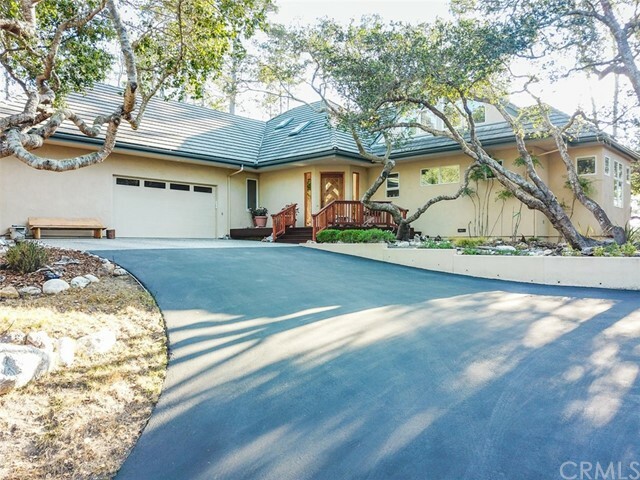 5 baths, 1375 sqft home sits on a lush 7000 sqft lot with gorgeous views of the santa lucia mountain range and ocean views as well! Both bedrooms and 2 baths sit on the first level as well as ample storage. Walk upstairs to enjoy your living area, kitchen, dining and did i mention views!!! Enjoy the beautiful scenery from 3 different balconies or simply from one the perfectly angled windows. Outside you will find a lovely sonoma hot tub to relax during the day or enjoy the night sky. Walk further and see the adorable shabby chic shed, great for a glass of lemonade on a warm, sunny day. Don't wait, come and see it today. 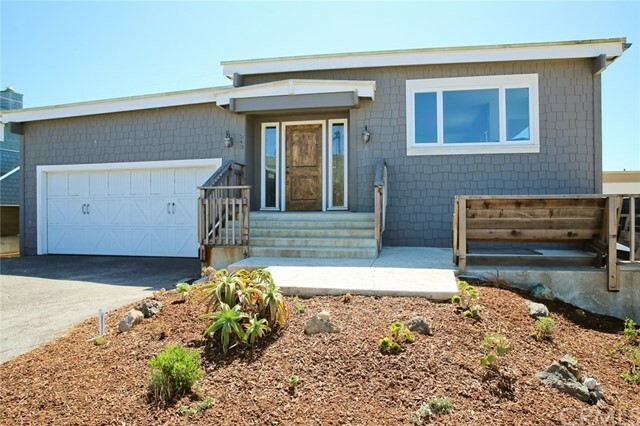 If there was a ratio used in the real estate industry called “cost per ocean view,” this house would be the best deal in town! 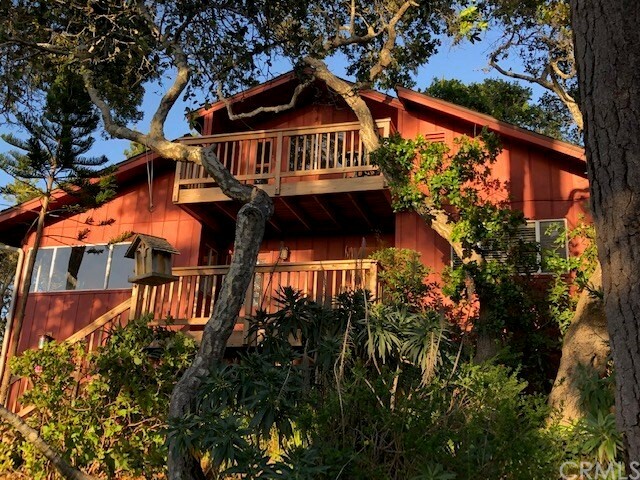 Located close to the top of “berwick heights,” the ocean views from this property must be experienced to be truly appreciated! 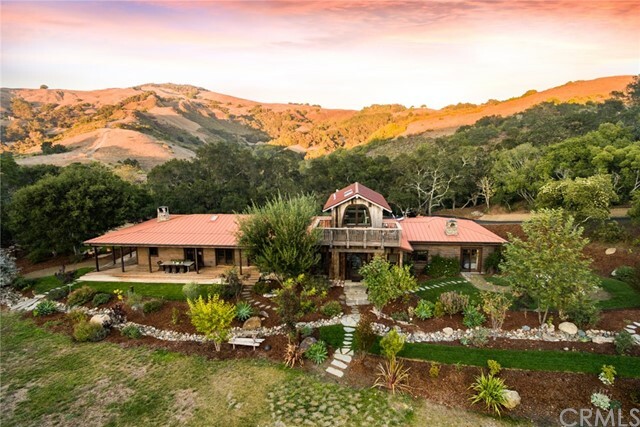 Watch the ball of the sun drop into the pacific ocean from december until june, and back again…and because this house is at the crest of the ridge, there are views of the santa lucia mountains as well! Two bedrooms and one bathroom downstairs, with an upstairs third bedroom/studio. The current owner uses the upstairs space as a very cool studio (just ask my photographer!). 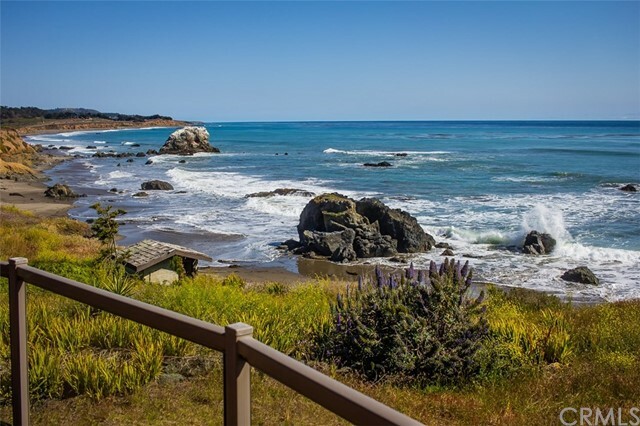 Sitting on the deck off this room, you will enjoy “forever ocean views” for the rest of your life. Vacant lots to the west, north and east help provide serene privacy throughout the house. You will enjoy a remodeled kitchen and bathroom, as well as the parquet floors, a franklin stove and the small inside laundry room. Drought tolerant landscaping and many different types of trees, including a very cool oak tree in the middle of the property! 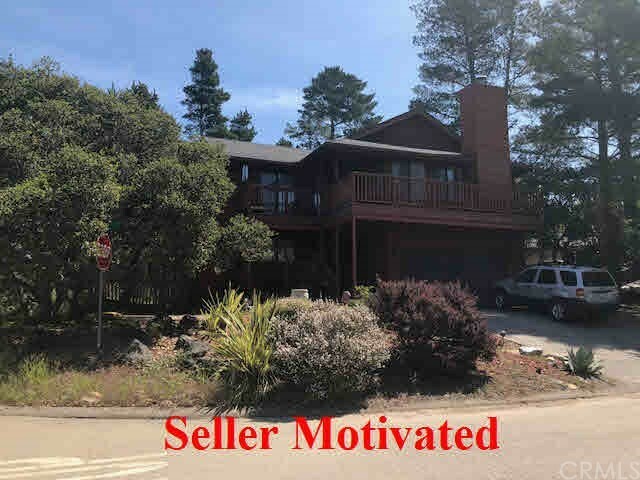 Beautiful 2 story home located in the lodge hills area in cambria with great curb appeal and so much to offer! Property sits on a corner lot and less than ½ a mile from the beach and ½ a mile from fiscalina nature preserve! Inside you will find 2 master bedrooms with 2 ½ baths. In the downstairs area there is a master bedroom and bathroom, 2 car garage with built in cabinets and ½ bathroom just off the side. The upstairs area has the 2nd master bedroom, bathroom, open kitchen and living room. Ceiling fans in all the rooms, indoor laundry area, balcony and deck. Outside you will find mature landscaping throughout with plenty of trees, plants and fenced yard. Take pleasure of the morning coastal breeze and beautiful partial view of the ocean on the 2nd floor. Also, enjoy an extra 2800 sq. Ft. Lot right next door with endless possibilities. Don’t miss out and come take a look today!